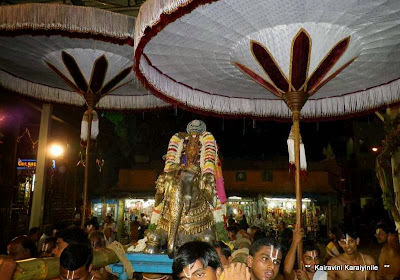 The grand Uthsavam of Periya Jeeyar is now on at all Divyadesams and today (5th Nov 2013) is the 8th day. 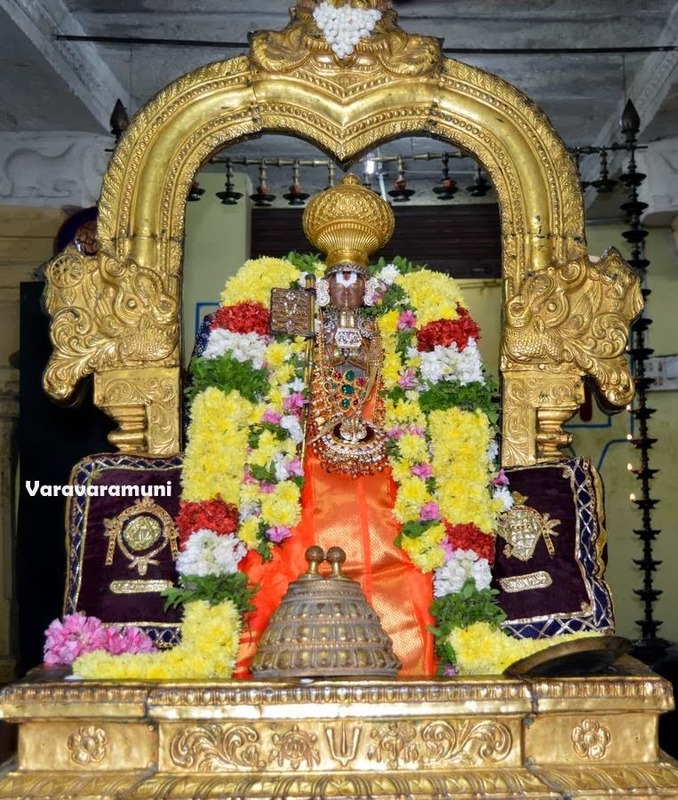 Saint Vara Vara Muni, the last of the ‘Poorvacharyars’ in the grand galaxy of preceptors was known as Alagiya Manavala Nayanar, before he was ordained the holy order of Sanyasa. Our Acharyar is adored as ‘Manavalamamunigal’ , Sowmya Jamathru Yogi and more. Sri Mamunigal is believed to be the reincarnation of Sri Ramanuja who himself was an incarnation of Adisesha. 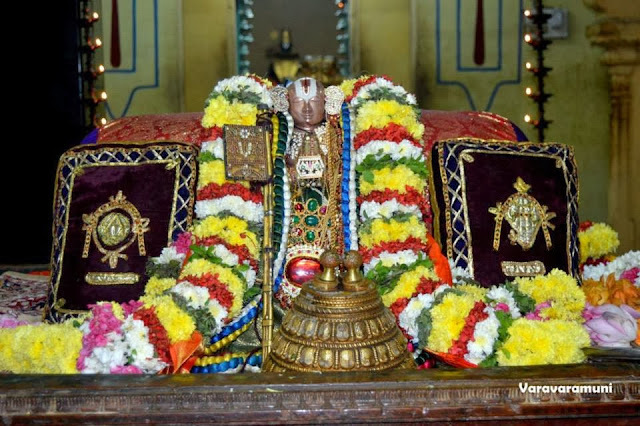 Our Acharyar flourished in this world between 1370 and 1443 A.D. Our Swami spent his early years at Tirunagari and then moved to Srirangam, the holy city of so many eminent divines. Here HE organized and systemized the temple management and rituals. 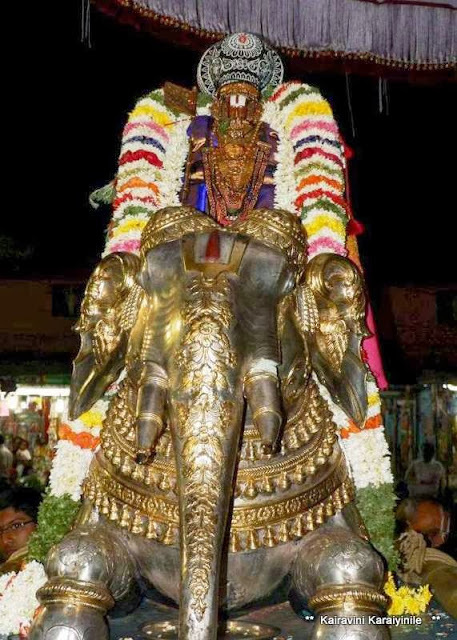 Swami was a very great scholar and his commentaries are characterised by the clarity and completeness of exposition. 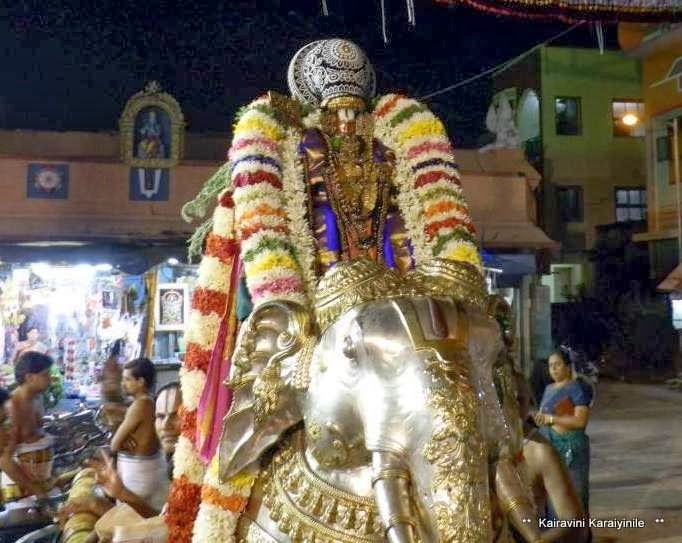 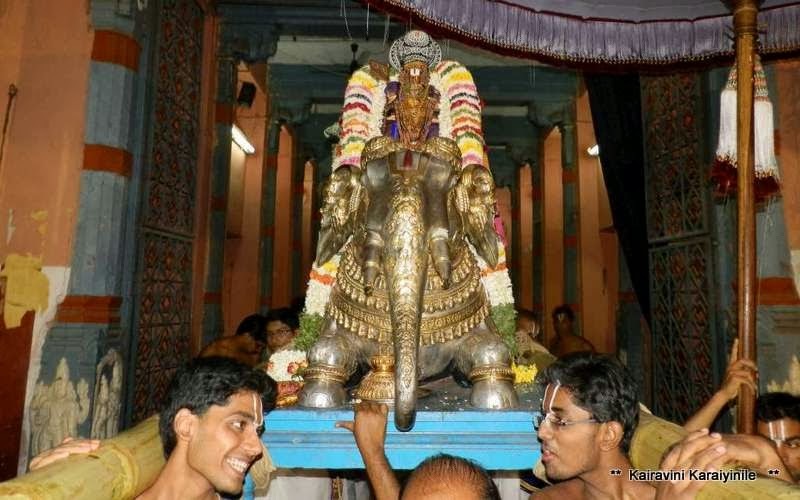 On 8th day, Sri Manavala Mamunigal had purappadu astride silver elephant and outshone with His kindness and benevolence. 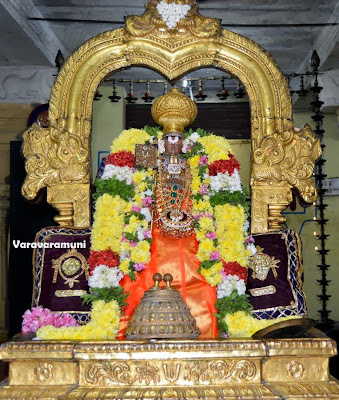 Here are photos taken during the purappadu and a photo of Swami Manavala Mamunigal at Thirukachi Perumal koil.